It's about that time of year again. Time for the apparently annual fall "skate-cation" weekend. 'Twas out to Phoenix the last 2 years, and even threw in an east coast week long adventure in April. This time, with apologies to LL Cool J, I'm goin' back to Cali. Don't hate me 'cause I'm goin' to the concrete paradise that is Lake Cunningham Regional Skatepark, hate me because I can do a backside nollie disaster better than you. Because believe me, I hate you for doin' anything frontside. Have a look... I am sooo not ready. I’m green with envy…wish I was able to go with you guys. The park looks absolutely beautiful and I’m stoked that you get to role around in it. 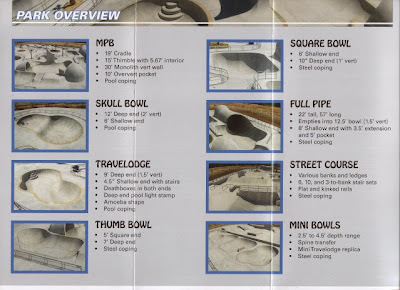 I can’t wait to hear some personal feedback on these parks. Wow! What a weekend! So much to report, so much to share. Workin' on it. So stoked to meet all the Concretin's! The over-night at Lake Cunningham was off the chain. Glad you all made the trek out. We will be doing it again for sure.